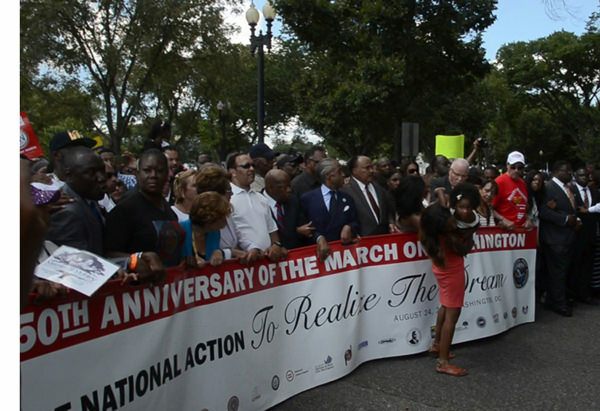 As the speeches ended, Asian Americans were at the start of the 50th anniversary of the March on Washington. I was in front of the march banner and took this photo. I could see Rev. Al Sharpton and Rep. John Lewis. For a brief moment, they held the pose and then it began–a massive non-stop flow of humanity demanding civil rights and justice, emanating from in front of the Lincoln Memorial and onto Independence Avenue.I stood like a tree but knew I would get run over, as I was facing the march and it was coming right at me. So I danced through it to the open spaces until I was saw some Asian Americans and started marching with them. 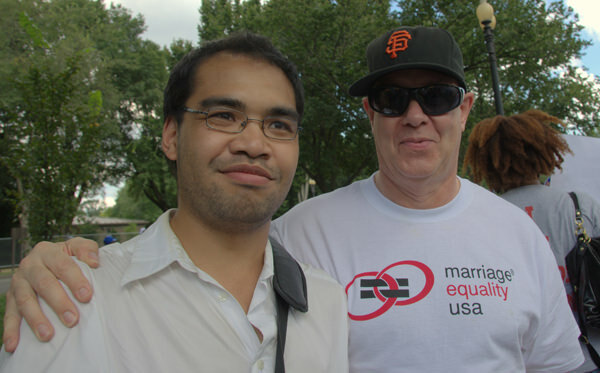 It was Todd Endo and the folks from NCAPA, the first large group of Asian Americans I saw at the march. LISTEN TO THE AALDEF PODCAST FROM THE MARCH. 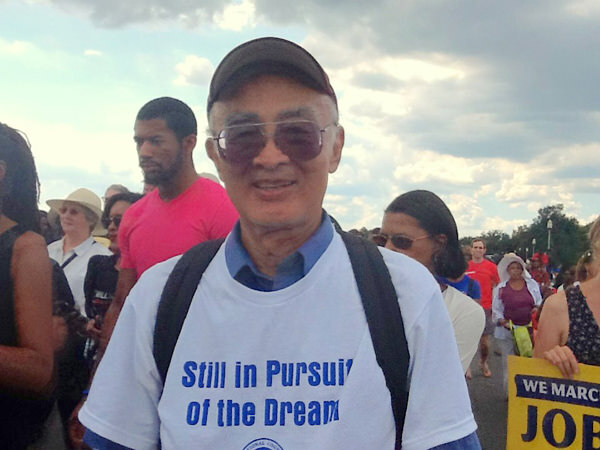 Endo was a young Oberlin College student when he marched in 1963. 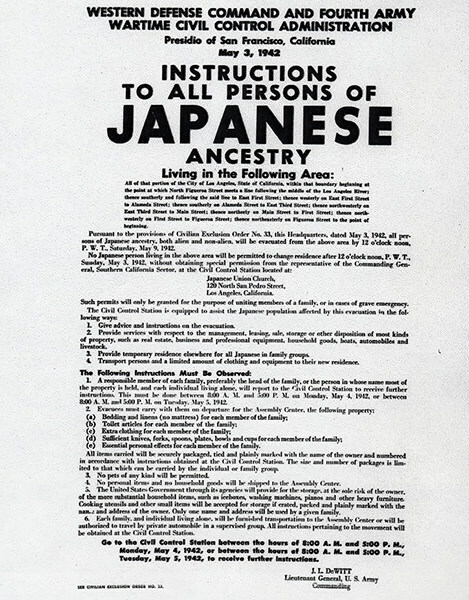 Now an Asian American activist, Endo held up a picture of the original Asian American marchers with the Japanese American Citizens League. As we marched down Independence Avenue, I talked with Endo on this exclusive podcast, about how things had changed and how the march gives him optimism for the future. Tam Duong, 26, a student at the Harvard School of Public Health, said she was marching because health care will be an important issue for people of color the next 50 years. 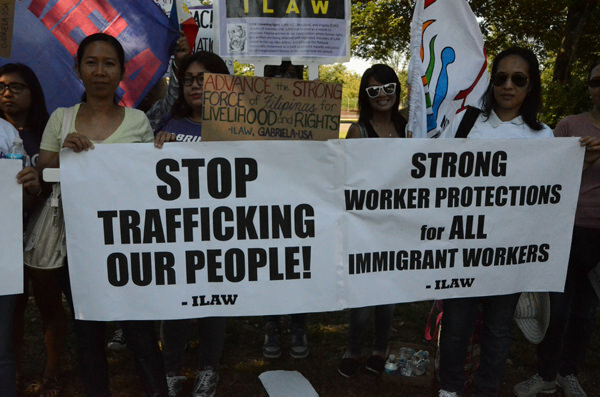 ILAW and Gabriela Network, based in the DC area, call for immigrant rights and an end to human trafficking. 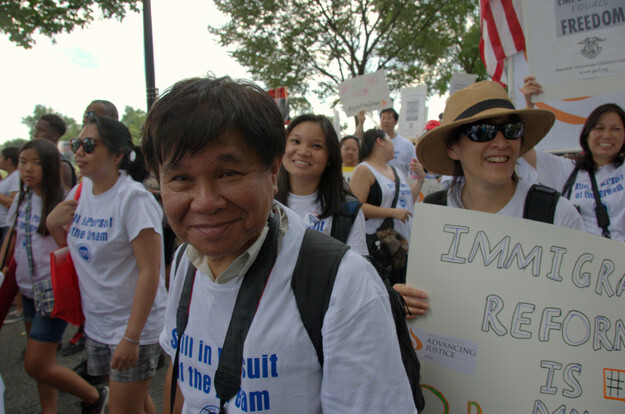 Jon Melegrito of the National Federation of Filipino American Associations was marching with the NCAPA contingent. 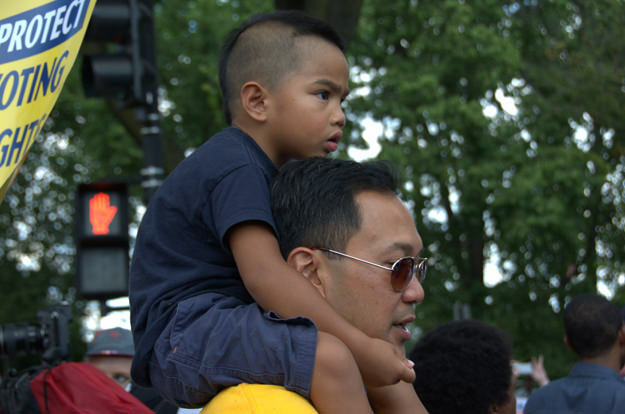 Anthony Garces, 41, a teacher, with his 4-year-old son Eli on his shoulders, marches for a hopeful future. 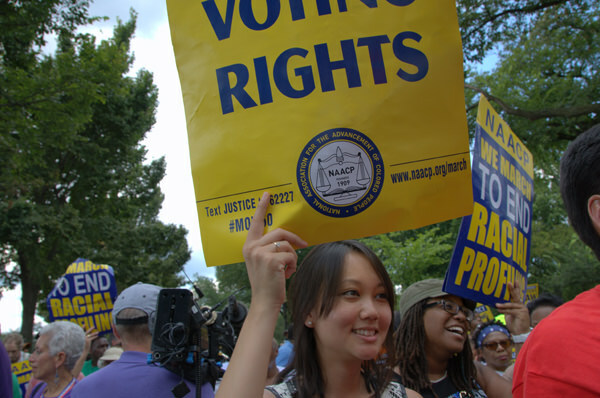 For Emil’s take on President Obama’s August 28 speech at the Lincoln Memorial, read Asian Americans Not Forgotten by Obama 50 Years After March on Washington.